The new ROM also integrates the November 2018 Android Security Patch. 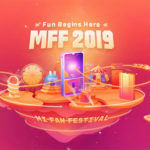 If you happen to be one of the 700,000 people who bought the Poco F1 from Xiaomi, here is some good news for you. Xiaomi has started rolling out the much-awaited Android 9 Pie stable update for the device. This newest firmware update will also graduate the handset to the newest version of MIUI (MIUI v10.1.3.0). To confirm if this update has been made available for our review unit, I turned it on after more than a month. Upon checking for updates, I realized that the latest update available for it is from last month which will update the phone to MIUI V10.0.6.0.OEJMIFH based on Android 8.1. We will try running the updater once again after we download and install the previous update to check if this unit receives the notification for the newest update. Anyway, let us get back to the newest update in the offing for the phone. In case you have been tracking the progress of software updates for the Poco F1, you might be aware of the fact that Xiaomi has been testing an Android Pie based ROM for the phone for more than a month through MIUI 10 Global ROM versions. Now that the final stable ROM has been released it is evident that Xiaomi has completed beta testing the ROM to their satisfaction. As expected of any update, this new version of MIUI features several improvements and bug fixes. As per the official changelog, the new ROM also integrates the November 2018 Android Security Patch. Another major addition this time around is Google Lens integration. The changelog also talks about several bug fixes without going into specific details. 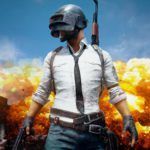 What is missing from this update, however, is the 960fps slow motion recording capability that was showcased on a beta build of MIUI 10 previously. There is also no word if the phone gets the ability to record 4K and Full HD videos at 60fps either. 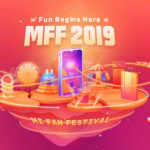 The Poco F1 was launched back in August by Xiaomi and thanks to its incredible pricing, was lapped up by users in hordes. 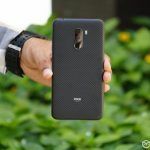 Even though it suffered from minor issues like lack of support fort Widevine L1 certification and screen bleeding issues on certain units, the phone was generally well received by the general public and reviewers alike. There was no denying that at its near INR 20,000 price tag for the base variant, the Poco F1 was a serious value for money proposition. The Poco F1 offered near-flagship hardware specs that included the powerful Qualcomm Snapdragon 845 chipset, 6GB, and 8GB RAM and 64/128/256GB storage options among others all for less than INR 30,000. The phone also featured a very capable dual camera setup at the rear and a decent front-facing camera that was recently updated to feature portrait mode. 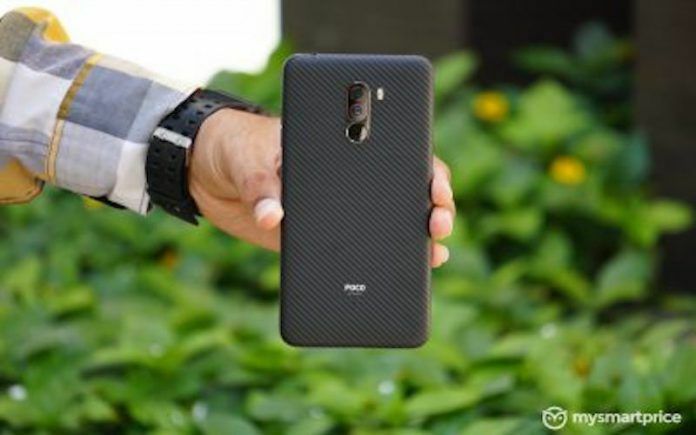 The Poco F1 has also been receiving regular updates from Xiaomi and has seen several improvements in the overall performance of the device. 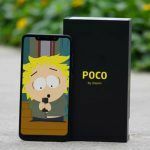 The latest Android 9 Pie update from Xiaomi also indicates that Xiaomi plans to actively offer software updates and support to the Poco F1 for the foreseeable future. In case you own a Poco F1, let us know if you have received a notification for this latest update.